Education plays a vital role in building the future of our nation by transforming lives and communities. We have several educator heroes who help students aim high and achieve their potential, often meeting and overcoming considerable challenges along the way. Recently Delhi based MT Research & Educational Services (MTRES) came up with Teaching Excellence Awards (TEA) 2018, to recognize the monumental role teachers play in our society as they instil a desire to learn and achieve and create tomorrow’s leaders. 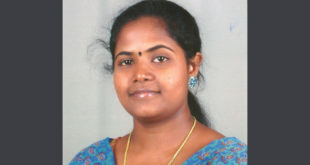 Meet one of the awardees, Ms. Divya Navamani J, Assistant Professor, Department of Electrical and Electronics Engineering, SRM Institute of Science and Technology (SRMIST), Kattankulathur, Tamil Nadu, who has been honoured with Promising Teacher Award in MTRES TEA 2018. Education plays a vital role in building the future of our nation by transforming lives and communities. We have several educator heroes who help students aim high and achieve their potential, often meeting and overcoming considerable challenges along the way. Recently Delhi based MT Research & Educational Services (MTRES) came up with Teaching Excellence Awards (TEA) 2018, to recognize the monumental role teachers play in our society as they instil a desire to learn and achieve and create tomorrow’s leaders. 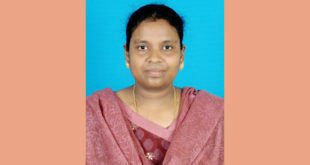 Meet one of the awardees, Ms. A. Lavanya, Assistant Professor, Department of Electrical and Electronics Engineering, SRM Institute of Science and Technology (SRMIST), Kattankulathur, Tamil Nadu, who has been honoured with Promising Teacher Award in MTRES TEA 2018. I am highly appreciative to Rohit & the Buzzingg team for showcasing my profile and accomplishments. I think it’s an excellent way to build personal brand online. A special callout to the commendable efforts taken by the team to pull the storyline together, highlighting key details with the right choice of words ! Look forward to read more such inspiring articles of other emerging leaders. Buzzingg.com is one of the best online platform where one can present one’s professional work, struggle and achievements and dreams. I am really delighted and thank the team at Buzzingg for presenting my professional journey and achievements in best possible way. Team Buzzingg is professional and creative in writing. I wish team Buzzingg a very very great success ahead in future. Buzzingg.com is a great channel for educators and researchers like me to showcase our achievements in Pharma domain. I am very much happy with the coverage on my professional career and achievements. The article was very well received. I wish team Buzzingg loads of success. Buzzingg.com is one of a kind portal that publishes success stories of Indians to reach global audience. The portal is an excellent platform for individuals, entrepreneurs and organizations to highlight their achievements and stand out among crowd! Rohit and his team are exceptionally professional in creative writing. I’m delighted that my success story was featured in buzzingg.com. I wish everyone at buzzingg a great success! It feels great to be featured on Buzzingg. Its a wonderful platform for young and emerging talented entrepreneurs to present themselves to the progressive and design forward crowd of the city. A genuine and compassionate manifesto is what everyone desires! Wishing good luck for many more upcoming success stories. Buzzingg is one of the most supporting platform for emerging artists and achievers from various fields. It is giving great opportunity to showcase their journey and achievements. I appreciate the effort team Buzzingg is putting up in building this platform. I love reading your articles. We come to know about people who are working out of the box. I received very good feedback from my friends and students for my article. I wish Buzzingg all the very best for future. Many thanks to buzzingg.com for building an online profile sharing platform that can enhance the scope and opportunities of career of each folks. It was helpful to share my profile on varied social sites or network like whatsapp, facebook, linkedin, etc. I wish them success. I feel honoured to write that buzzingg.com is one of the best organization / platform for the scientists / scholars / academicians to highlight their achievements. I wish them success.. The success stories we are able know through Buzzingg platform are giving us lot more information and knowledge about various fields and streams of day to day lives. Buzzingg team is backboned with truly dedicated and hardworking personals who find artist and positive contributors to community and portray them on http://www.buzzingg.com . Thanks a ton Rohit. Publication of success stories on Buzzingg gives great feeling of attainment. I would like to thank Mr. Rohit Hitnalikar & his team for creating a platform. This platform has emerged as great source of motivation for the people those who are involved in innovative activities in the area of their interest, but with ultimate aim of serving mankind, humanity and environment. Thanks a lot for a wonderful gift on women’s day 🙂 It was my dream to make my work a Brand and Buzzingg is the first platform to help me in doing so that too in such a superb way. Thank u …Is a very small word for it. Buzzingg is a channel developed by young and innovative professionals . What distinguishes Buzzingg team from a lot of their peers is the meticulous research methodology which makes every article on this space a very interactive and resourceful read. I wish the Buzzingg team all the very best for their on going venture. Keep up the passion and the great work! Look forward to reading more and more interesting storylines from you on a regular basis . At first look, Buzzingg captivated my interest. It was great to know that the national talent is recognised in a very appealing way. Personally, my own story published in Buzzingg gave me an overnight “Champion’s” status ! The innumerable phone calls and lots of applause from friends, colleagues, and relatives left me overwhelmed. I sincerely thank Buzzingg for this exposure and wish this platform to flourish exponentially with many more stories of unsung Heroes. Buzzingg is a platform to share News, Story, Updates, Buzz on Success, Win, Progress, Achievement of Indians in Games, Sports, Art, Business, Industry, Education, Social domain. Write, Share and Celebrate your success - big or small. Get recognized for your achievement. Stand out from the crowd. Build your brand.